About this blog . . .
Ahh, but Muslims are new to this country. There’s no record of any before the US Civil War. If there were, no doubt there would be Muslims buried in Civil war cemeteries. It is estimated that between 10-20% of African-American arrivals during the slave trade were Muslim, but they were forced to convert to Christianity upon arrival. They were also forced to accept Christian names. So, when did Muslims arrive? From the 1880’s to 1914, many arrived in America as refugees from the Ottoman Empire. In 1929 the country’s first ever mosque was built, in Chicago. It was after 1965, the year that Senator Edward Kennedy introduced his Immigration Reform Bill, that Muslims started to arrive en masse. Additionally, a high birth rate contributed to rapid growth. So, the real growth in the numbers of Muslims, is fairly recent. Most Americans would have been surprised when she was sworn in as a US Congresswoman on Thomas Jefferson’s Koran. This news has been received with great enthusiasm by the anti-Christian media, ever desirous of distancing American history from its Christian roots. Now, owning a Koran does not make you a Muslim. I have one in my library. But, in the history of US-Muslim relations, Jefferson’s copy may have had more significance. The Barbary pirates were America’s first major foreign policy challenge following independence. Four Muslim nations along the North African coast (Algiers, Tripoli, Tunis and Morocco) were seizing shipping and US sailors in the western Mediterranean. It is estimated that between 1 million and 1.25 million white slaves were being held by these slave-owning nations at this time. The only nations that escaped were those who paid a ransom to the Arab countries. The US did this for a while, giving a full 10% of its annual budget. Clearly, this could not go one. Attacks on American shipping began in 1784 and continued for about twenty years. Although there is no official record of when Jefferson acquired his copy of the Koran, this seems the most likely. He was reading it to better inform himself on the actions of the Arab leaders America was threatened by. Such a course would be advisable today. The turning point in the war was the Battle of Derma in 1805, when US and mercenary troops, captured the Tripolitan city of Derma. They were then able to use the conquered city as a bargaining chip for the release of US personnel and to impose a peace. During this twenty-year period the US acted alone, as all the European countries were pre-occupied with fighting Napoleon. 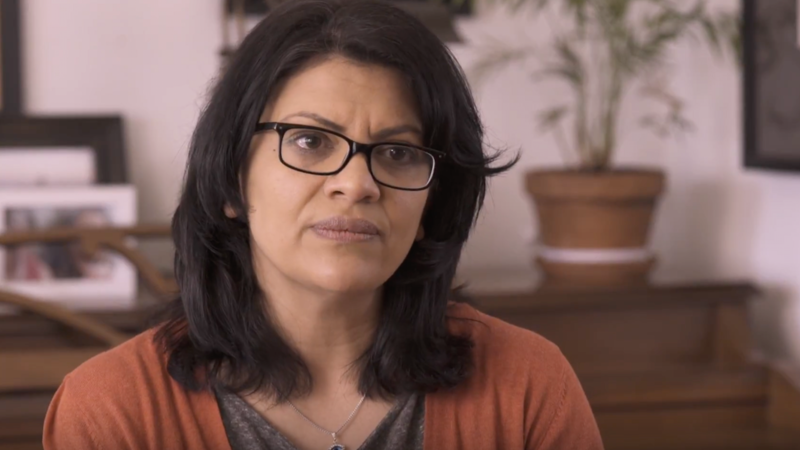 If we do not read more American history, people like Rashida Tlaib will get the better of us, making exaggerated claims by Muslims. Ms Tlaib should also be mindful of what the Bible says about Jesus Christ. He can even help you clean up your language! In addition to the four main parties already contesting elections in Ontario, there is now an Islamic party. THE GOVERNMENT has partially shut down. Again. No other advanced democracy has government shutdowns. In America they have become almost routine. This is the third since Donald Trump became president and by far the most damaging. The others were resolved quickly; this is already the second-longest on record. It is not happening because America is in turmoil: the country is not at war, unemployment is as low as it has ever been. It is happening because that is what the president wants. What is playing out in Washington is the denouement of a political fight. Mr. Trump was elected on a promise to build a wall on the southern border, though Mexico was supposed to pay for it. The new Democratic majority in the House is reluctant to give the president a victory on his best-known policy. The Senate majority leader, who might be able to end the standoff, is AWOL. In fact, living paycheck to paycheck – meaning there’s not a cash cushion to cover the bills if the income stops for awhile – is a common condition in America. In the 12th richest nation in the world by per capita GDP, nearly 8 in 10 U.S. workers live paycheck to paycheck, according to a 2017 study by CareerBuilder, a human capital management firm. And the trend crosses over income groups: more than half of minimum wage workers said they needed to hold down two jobs to make ends meet, while one in 10 workers earning $100,000 or more yearly say they live paycheck to paycheck. The Euro is twenty years old this month. The Telegraph’s finance writer, Ambrose Evans-Pritchard wrote an article commemorating the anniversary. Here’s an excerpt. “While EU leaders quibbled over decimal points and debt repayment in Brussels, youth jobless rates reached 57pc in Greece, 56pc in Spain, and much the same across Italy’s Mezzogiorno. These were levels once unthinkable in a modern developed democracy. They have left a wreckage of ‘labour hysteresis’ that will lower economic speed limits for a generation to come. “Several hundred thousand economic refugees came to work in Britain from the EMU depression belt. A further wave from Eastern Europe came to the UK instead of going to the eurozone as they would have done in normal times. The double surge had maximum impact just before the Referendum. “More subtly, the euro crisis revealed that the pathologies of monetary union cannot be managed by normal democratic means. The elected prime ministers of Greece and Italy were toppled in 2010 and 2011 and replaced by EU functionaries in soft coups organized by Brussels and the pro-EMU vested interests of each country. Categories Select Category Below the line . . . Books and General History From the World’s Press . . . Health Hmmmm . . . Life Movies News Quotable Quotes Short Musings This Week’s Funny Travel Uncategorized Ya Gotta Laugh . . .